Tom Brady and Gisele Bündchen seem happy and in love on social media. They often post photos and interact with one another. 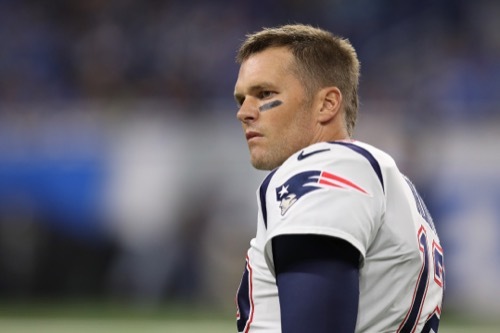 Tom Brady revealed that all is not well in the Brady-Bündchen household. Apparently, the couple fights over when he should retire. Gisele knew what she was getting into when she married the football star. She was hoping that she could get him to change his career goals. In a new interview, Tom Brady revealed that he loves playing football and doesn’t want to give it up. The couple even argues as to when he should retire. Tom Brady said on CBS This Morning that he and Bündchen often fight over when he should leave the New England Patriots. The 40-year-old remarked that his 37-year-old wife is not happy that he still plays football. She wishes that he would’ve given up his career sooner. He said that they go “back and forth” as to when he should retire. Bündchen reminds him that “another ten years” has gone by. He’s refusing to quit anyone soon. He’s enjoying the perks of being a quarterback. Tom Brady became the second oldest quarterback in the history of the NFL to win the Super Bowl. He clearly enjoys being in a sport that’s often dominated by younger men. Tom Brady insists that he takes preventative measures to combat concussions. Bündchen revealed in an interview earlier this year that he’s suffered from many concussions over the years. Tom Brady says he’s on a strict diet and fitness program. He calls it “pre-hab,” which is preventative workouts and treatments that help him get through a game. Therefore, he doesn’t place too much emphasis on injuries such as concussions. It’s not something he worries about. Tom Brady does want to follow in his footsteps and retire like some of his sports idols. His statements come after Bündchen broke down while giving a speech at the Rock in Rio Music Festival in Brazil. The supermodel was quite emotional during onstage appearance. She encouraged fans to live out their dreams. She spoke to the crowd in Portuguese, with a translation provided by Tom Brady, reports People. She cried towards the end of her speech, but she successfully sung John Lennon’s iconic song “Imagine” alongside Brazilian singer Ivete Sangalo. Tom Brady showed some support for his wife. He took to Instagram to write, “So proud of you! Te amo.” Bündchen stepped out in a sparkling white jumpsuit. She even performed alongside Aerosmith, Bon Jovi, Gun N’ Roses, and The Who. The event was to raise awareness about the environment. Bündchen has been passionate about climate change, as evidenced by her social media accounts. What are your thoughts on Tom Brady’s interview? What do you think about him retiring? Do you think he should listen to Gisele Bündchen about quitting football? Sound off below in the comments section. Gisele Bundchen Divorce: Tom Brady Nasty Towards Supermodel Wife as ‘Deflategate’ Sinks Marriage? Gisele Bündchen Pushing Tom Brady To Quit The NFL: Model Used To Getting What She Wants, Controls Husband? Gisele Bündchen Loosens Grip On Tom Brady’s Controlling Diet Plan: Supermodel Relaxes To Avoid Divorce? Tom Brady Wants Superbowl: Gisele Bundchen Wants Divorce? Tom Brady Fed Up With Gisele Bündchen Marriage – Controlling Behaviors Leads To Divorce? Gisele Bundchen, Tom Brady Divorce After He Refuses To Support Wife’s Final Catwalk At 2016 Summer Olympics?